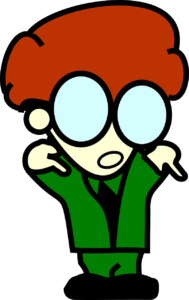 It’s actually quite likely that the most productive scientists are generally sane and reasonable. And that’s what I suspect about Performance Lab: The researchers occupying the Performance Laboratory aren’t recklessly throwing chemicals together, sparking new life forms and world-ending liquids. So, judging by the ingredients found in their nootropic supplement Performance Lab Mind, these dudes know exactly what their doing. And this well-calculated supplement demonstrates their research backed knowledge. But does this supplement pass my test? Is it sane and reasonable enough to impress the most sanest and most reasonablest Nootropic Geek out there? A geek so sane and reasonable, it’s almost insane?? Let’s read the review to find out. Who Takes Performance Lab Mind? Conclusion: Does Performance Lab Mind Work? 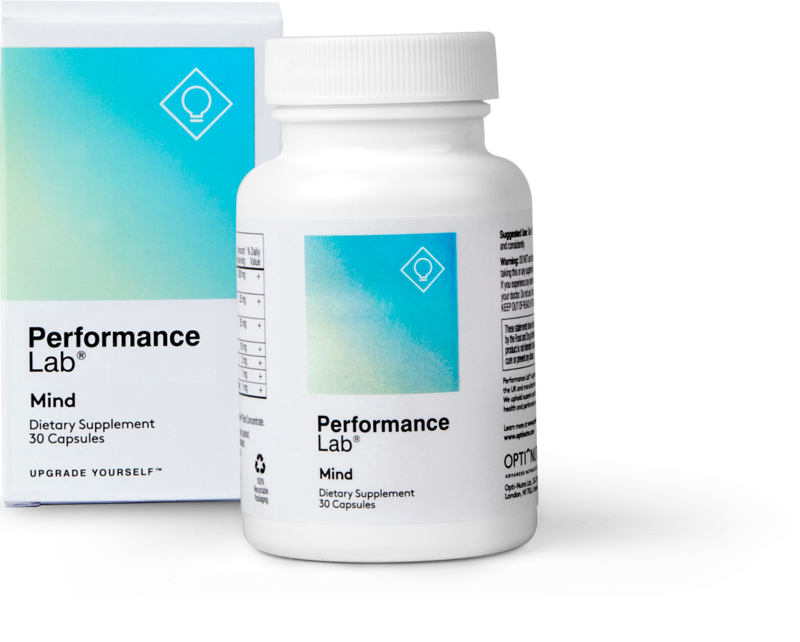 Performance Lab® Mind is an advanced, laser focused nootropic supplement that supports long- and short-term mental power, clarity, and recovery. By tightening its focus on only a few ingredients, Performance Lab Mind enables itself to double down on the quality of its nootropics, all of which are exceptionally potent. And the capsules themselves leave out the unnecessary junk and additives, keeping Performance Lab Mind’s caps clean, vegan, and safe. Directions: Take 1-2 capsules of Performance Lab® Mind with your first meal of the day, preferably with a source of dietary fat such as coconut oil to assist with absorption of Performance Lab® Mind‘s phospholipid nutrients. For best results use daily and consistently. Citicoline (as Cognizin®) – I’m about to blow your mind: cytidine + choline = citicoline. Pretty cool, huh? And so, being one-part cytidine and one-part choline, citicoline works as a two-for-one nootropic, achieving the cholinergic benefits of choline — e.g., enhancing acetylcholine and phosphatidylcholine activity — and the brain restorative advantages of cytidine, which converts to uridine, a key component in brain energy and growth. Citicoline easily qualifies as the best cholinergic nootropic, if not my favorite nootropic overall. More on Citicoline. Sorry, soy boys. Real men consume sunflowers. Phosphatidylserine (as Sharp-PS®) – Phosphatidylserine is a natural phospholipid heavily concentrated in the brain. As a nootropic, PS supplements improve cognition by boosting brain cell formation, communication, and energy. 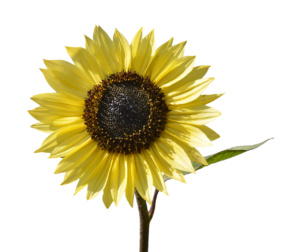 Furthermore, Performance Lab Mind tosses the standard soy-derived PS for the premium sunflower-derived Sharp-PS. More on Phosphatidylserine. N-Acetyl L-Tyrosine (NALT) – Few nootropic compounds act as quickly and reliably as L-tyrosine when it comes to reducing stress and improving focus. And this is due to the amino acid’s natural conversion to catecholamine (excitatory) neurotransmitters, which rampantly diminish under conditions of stress. Additionally, Performance Lab Mind smartly opts for the more potent N-Acetyl L-Tyrosine form over the usual L-tyrosine ingredient. More on L-Tyrosine. Maritime Pine Bark Extract (Std. for min. 95% proanthocyanidins) – One of the more interesting nootropic trends to hit 2017, onto 2018, is Maritime Pine Bark Extract. As a rich source of antioxidant proanthocyanidins, Maritime Pine Bark supports cognition through several pathways. Improved cerebral circulation, reduced free radical damage, and enhanced brain cell regeneration. On that note, many nootropic enthusiasts value this herbal cognitive enhancer for its well-researched effects on attention and hyperactivity. Additionally, something that I personally enjoy about this nootropic: No caffeine. RELAX — you don’t need more caffeine. As a result, Performance Lab Mind delivers a smart, tightly packed mental performance enhancing supplement that boosts cognitive function while simultaneously advancing brain health towards a cleaner, fog-free future. Rather than congest the brain with cheap, easy stimulation, Performance Lab Mind reinforces the underlying structures pertinent to a competitive thinker. Brain chemicals, brain energy, brain cells, brain circulation — essentially, Performance Lab Mind covers all of the brain bio-pathways involved in brain power and recovery. Yet, you may argue that Performance Lab Mind may do better by adding at least a few more big time nootropics — e.g., L-theanine, Bacopa monnieri… However, I think that’s partially the point: Performance Lab Mind establishes a great cognitive enhancing base on which to stack more nootropics. Even so, as a standalone nootropic supplement, Performance Lab Mind works very well. Consequently, it works as a solid foundational stack to your other supplement stacks. The Performance Lab Mind directions suggest consuming this supplement with a dietary fat, such as coconut oil. However, stacking Performance Lab Mind with Performance Lab® Omega-3 may also improve this supplement’s results. Most of all, mixing citicoline, phosphatidylserine, and omega-3 may deliver synergistic benefits on brain health and synapse formation. Additionally, Performance Lab provides other Performance Lab® stack options, including: Whole-Food Multi, Sport Pre-Workout, Energy, Sleep, and Prebiotic. Performance Lab Mind is an all natural, all nootropic, all powerful brain health supplement, stacking some of my favorite nootropics into its clean caps. The formula does away with all the proprietary nonsense, proudly displaying its individual ingredient dosages. I dig the caffeine-free, stimulant-free, drug-free design of this nootropic. However, readers of this site already know how I distinguish natural nootropics and synthetic smart drugs. Additionally, those same users may desire heavy hitting stimulants, such as caffeine and racetams. Which, while not in this supplement, may benefit by this supplement’s ingredients. E.g., citicoline plus piracetam. As you increase your order from 1 box to 2 boxes to 3 boxes, the savings increase from 5% to 10%, respectively. The largest option saves you $5 per bottle, as compared to the standard single bottle price. Students, athletes, professionals, competitors, young, old… And really anyone looking to increase their mental edge for optimal memory, mood, focus, attention, energy, and more. Performance Lab Mind is a pro supplement designed to help pros reach their max mental capacity. And its all natural, vegan, caffeine-free status opens a lot of doors to a lot of nootropic enthusiasts. 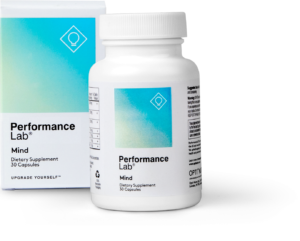 You can buy Performance Lab Mind directly through Performance Lab’s website at the 1 – 3 bottle(s) price options listed above. Enhanced cognitive performance? I’m down, dogg. Yes, Performance Lab Mind works. And this nootropic supplement works because its nootropic ingredients each work very, very well. Furthermore, they work well together, each targeting a unique brain pathway. As a result, Performance Lab Mind comprehensively covers all of the brain health basics with only a short stack of ingredients. That’s efficiency. And that’s impressive. However, if your needs extend beyond citicoline, PS, NALT, and Pine Bark Extract, you may always notch in additional nootropics and supplements to boost these ingredients’ results. Because these ingredients cover such primary cognitive territory, their synergy potential is very high. And that’s perhaps what I find most exciting about this foundational cognitive enhancing supplement. To learn more about Performance Lab Mind and its ingredients, hit the following link: Check out more on Performance Lab Mind. Hi! I need a supplement for studying for a test and I have been reading your reviews on Performance Lab and Genius Consciousness. Which do you suggest is better for concentration, memory, and overall brain power? So, both supplements are pretty awesome. The first difference between the two: Genius Consciousness has caffeine (and another stimulant called methyliberine), whereas Performance Lab Mind does not. If you handle stimulation well, no problem there. However, Performance Lab Mind’s maritime pine bark extract seems to work better for attention while the citicoline and phosphatidylserine may assist with memory and brain energy. Another similar option to Performance Lab Mind is Mind Lab Pro, which supplies the same four ingredients and then some (also no caffeine). I view MLP as a great option for students; essentially an enhanced version of Performance Lab Mind. So, if you do go the PLM route, I recommend checking out MLP first to see if there’s anything extra there that you might like. Wondering if you can stack the performance lab mind and energy together? What is the recommended way to take them ? What I like about the Performance Lab series is how well they stack together. The series seems designed for you to stack their supplements as per your specific needs — e.g., if you need basic cognitive enhancement with better energy production, then, yes, Mind + Energy seems like a great stack option.